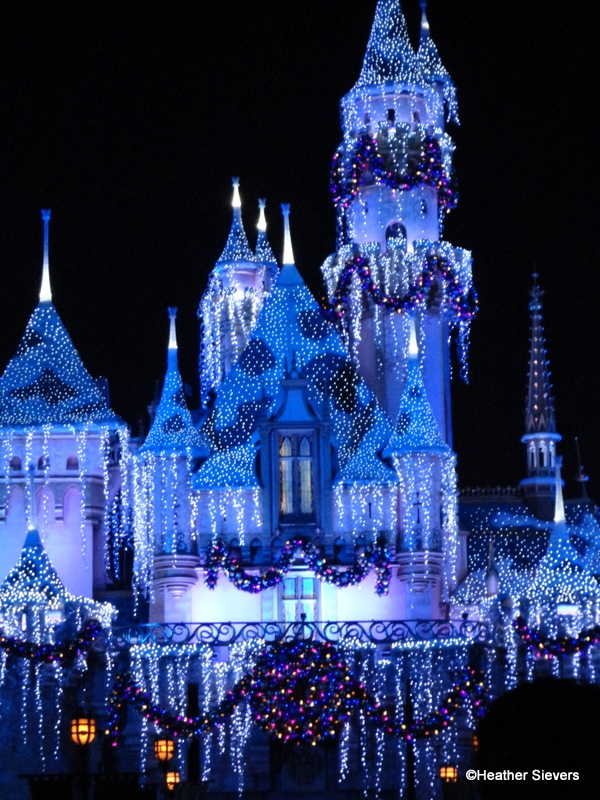 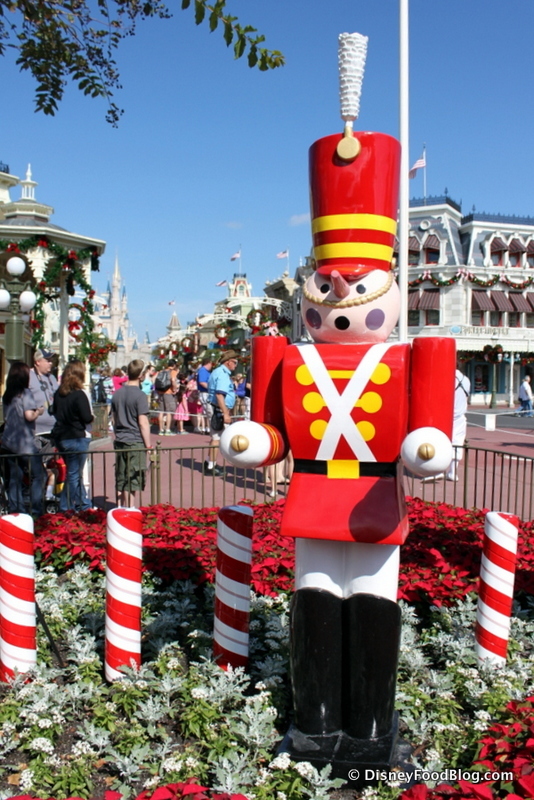 The Holidays are Almost Here in Magic Kingdom! 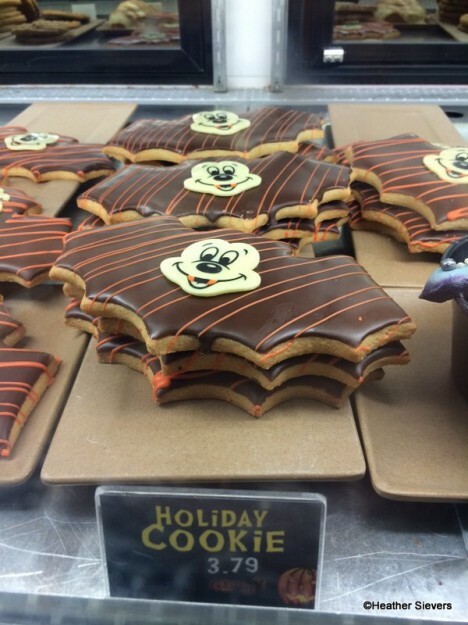 It’s been so much fun hunting down all of the Halloween Treats at the Disneyland Resort this year. Halloween is by far my very favorite time of the year. I have so many photos of spooky delights and although I’d like to try every single item, I’d also like to fit into my Halloween costume in a few weeks. 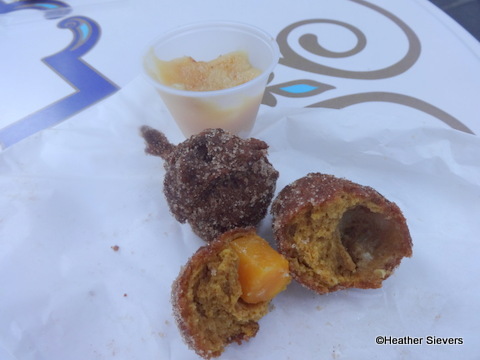 So, instead of a full review on each of these Halloween Time treats, let’s just look at some calorie free photos! 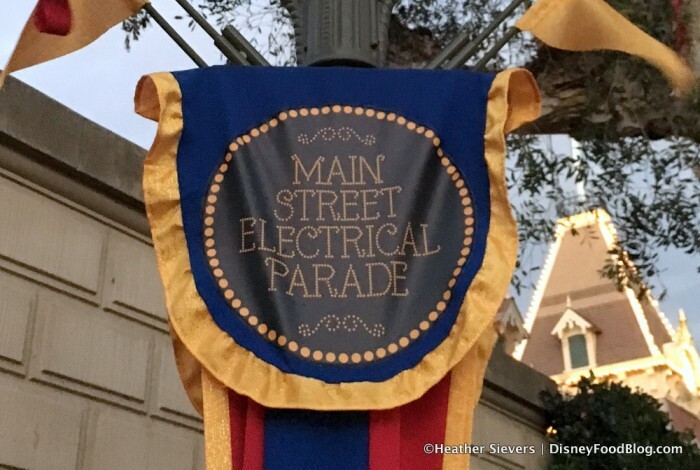 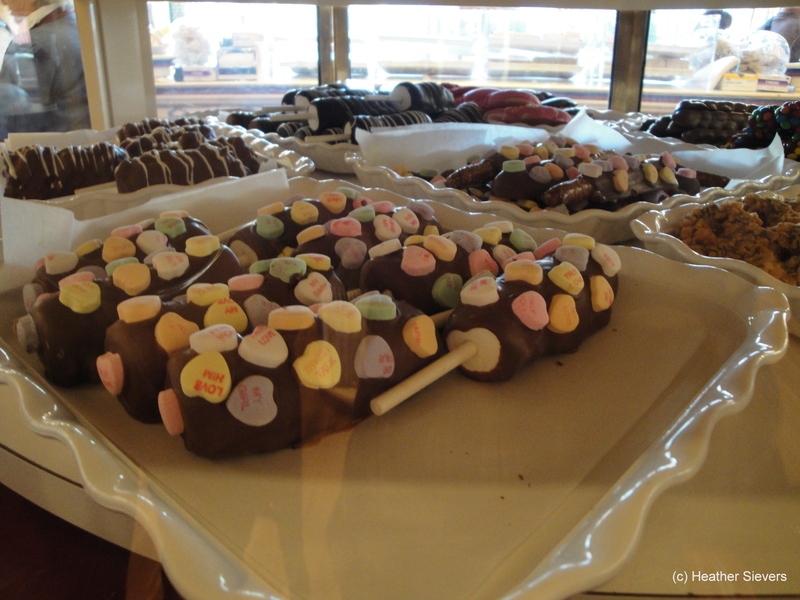 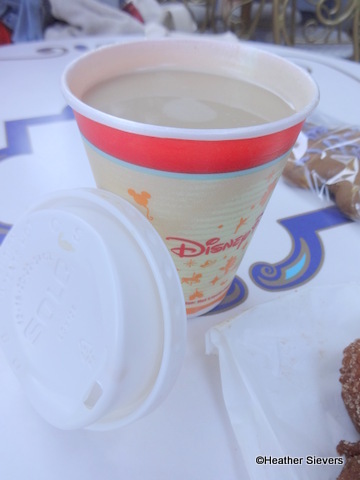 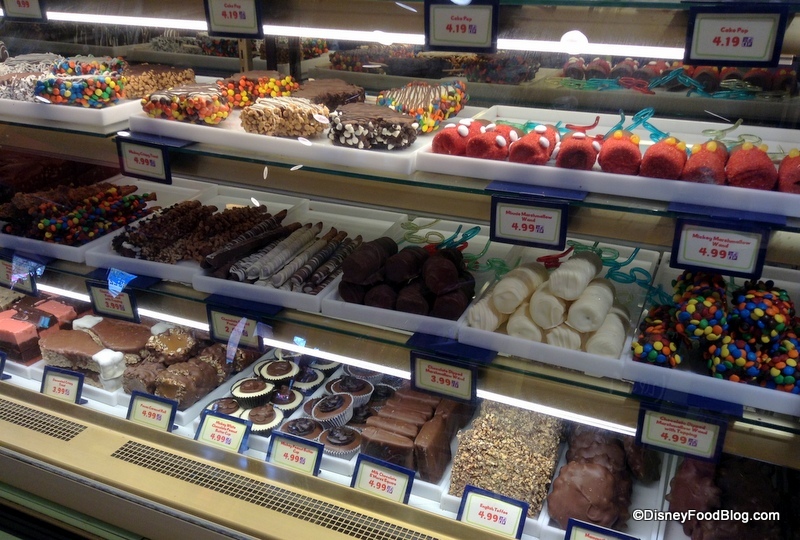 Most of the items I’m featuring in this post can be found in Candy Palace at Disneyland, Trolley Treats in Disney California Adventure, and Marceline’s in Downtown Disney. 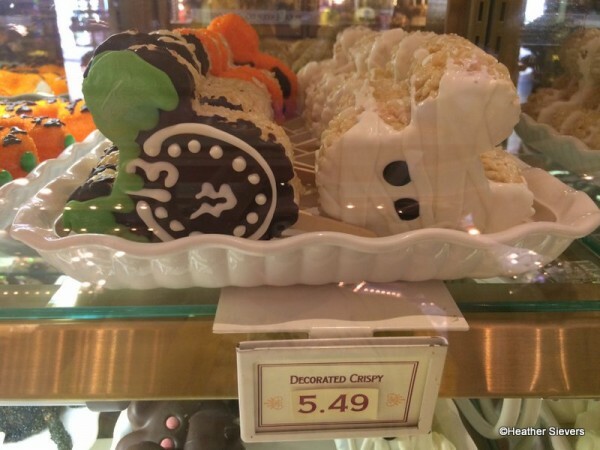 If an item is specific to a certain spot, I’ll let ya know! 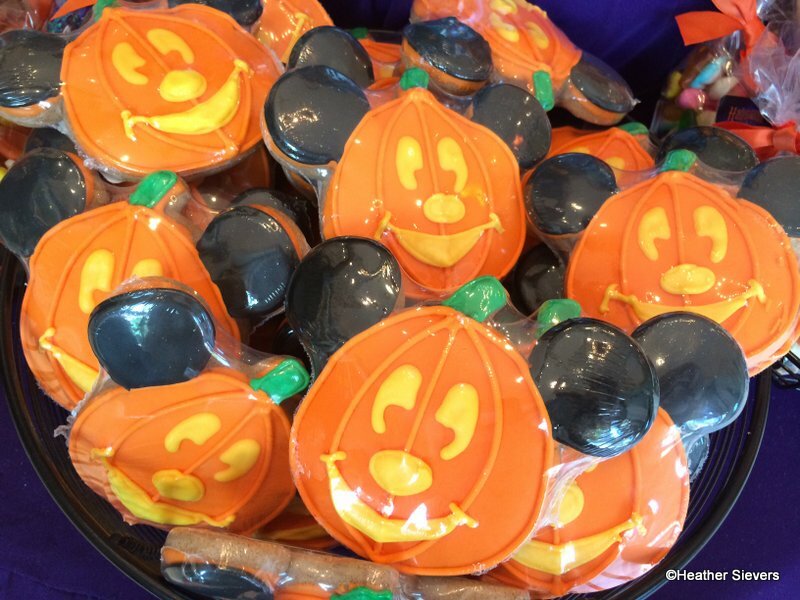 Let’s start with these adorable Mickey o’ Lantern Cookies! Followed by some Mickey Bat Cookies! 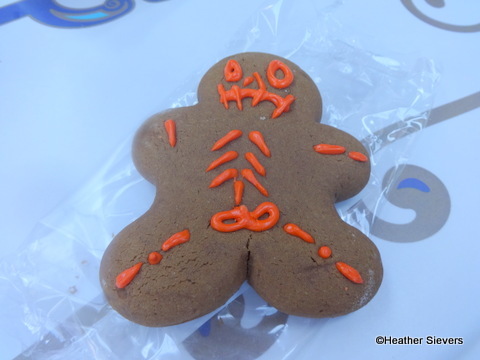 I love the tiny orange fangs! 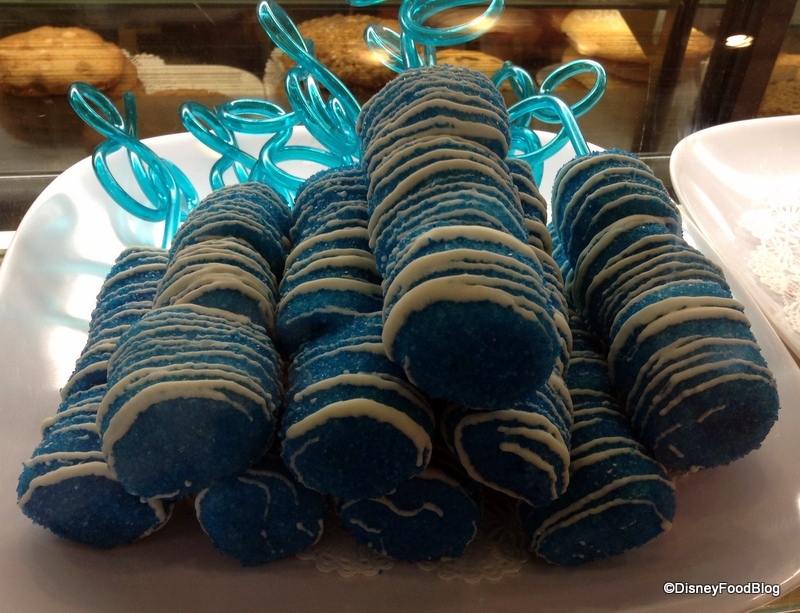 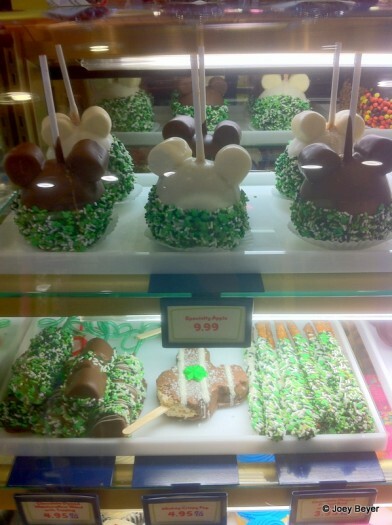 There are several stops around both Disney World and Disneyland with bakery cases that are full-to-overflowing with eye-catching goodies. 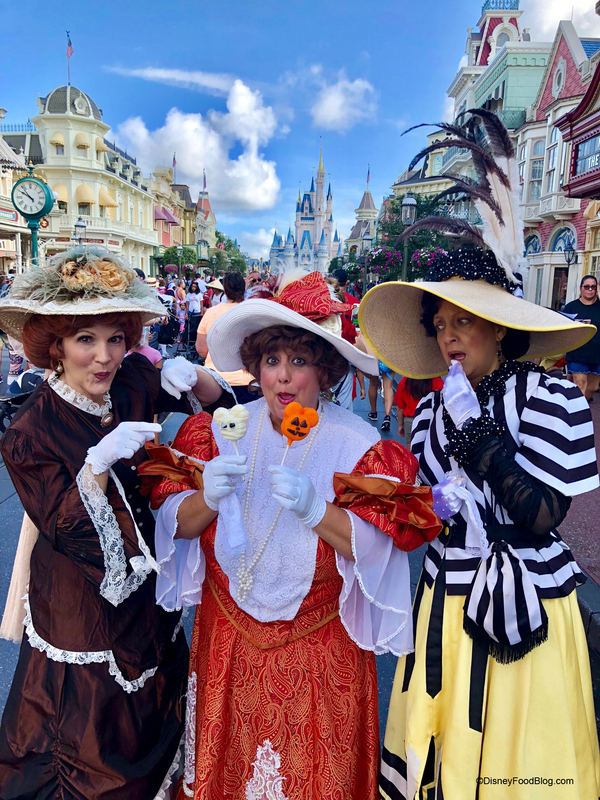 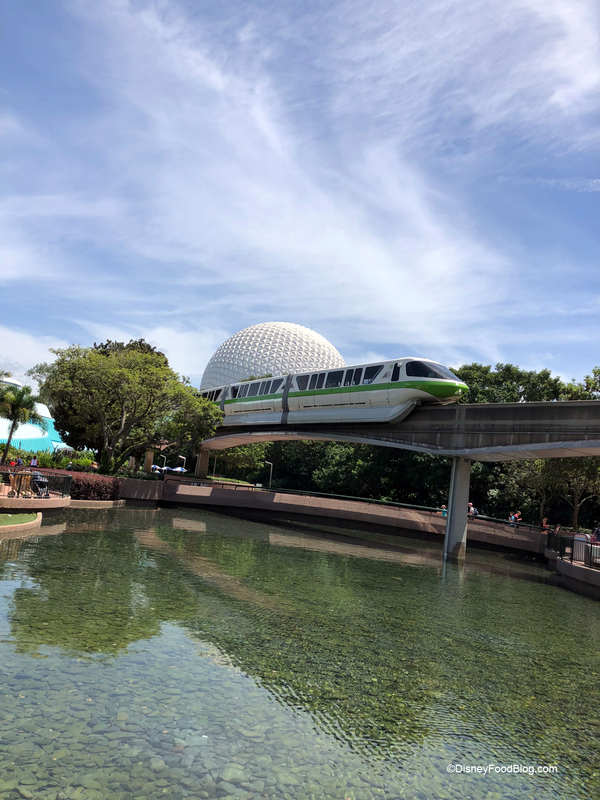 In Disney World, these spots include Magic Kingdom’s Main Street Confectionery, Prairie Outpost and Supply, and Big Top Treats; Hollywood Studios’ Sweet Spells; and Downtown Disney’s Goofy’s Candy Company and the Candy Cauldron. 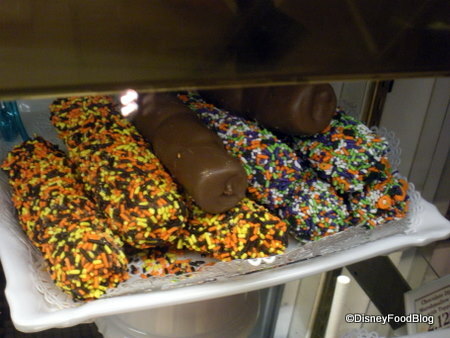 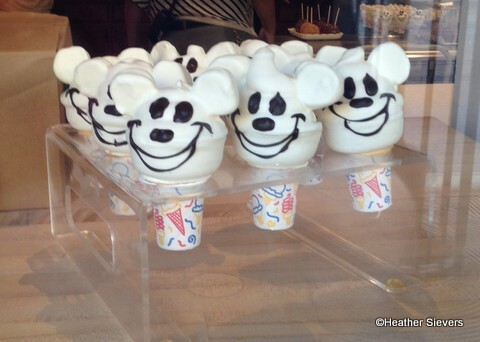 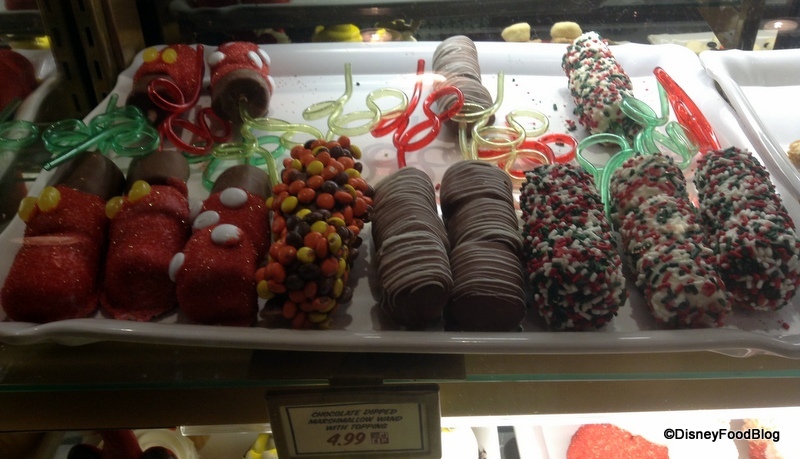 In Disneyland, they include Marceline’s Confectionery, Pooh Corner, Trolley Treats, and the Candy Palace. 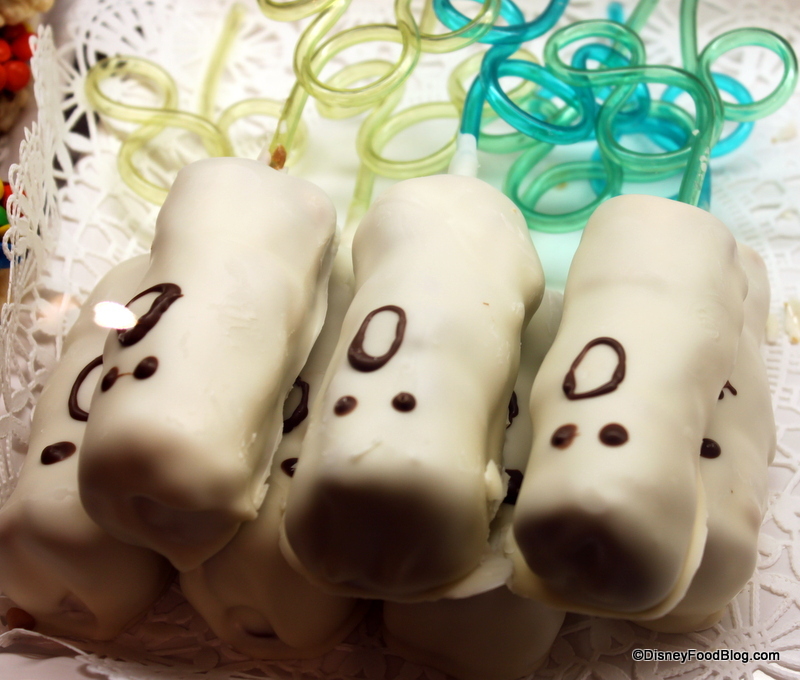 A snack often found in these cases is the Marshmallow Wand. 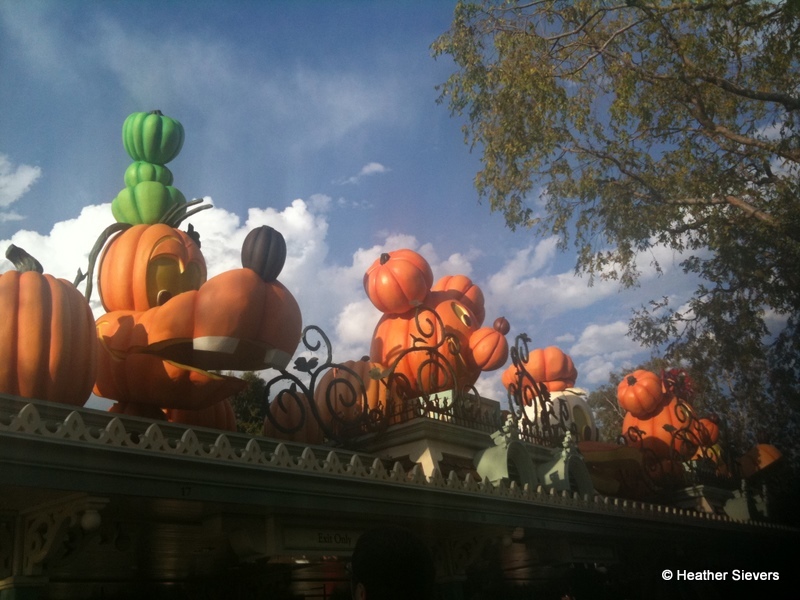 And we mention them on DFB fairly often because they change with the seasons. They’ve been decorated with conversation hearts for Valentine’s Day. And they take part in the Wearing O’ the Green on St. Patrick’s Day! 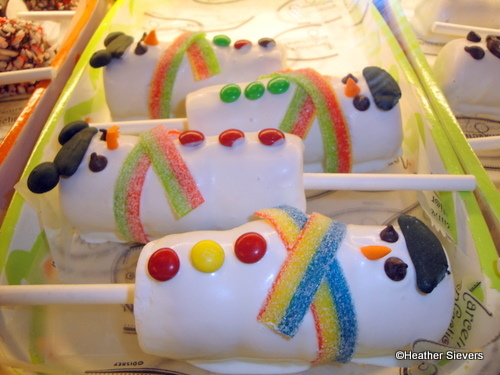 I recently visited Disney’s California Adventure to get a sampling of all the yumminess the resort has to offer this season — and let me tell you, there are some pretty tasty treats. 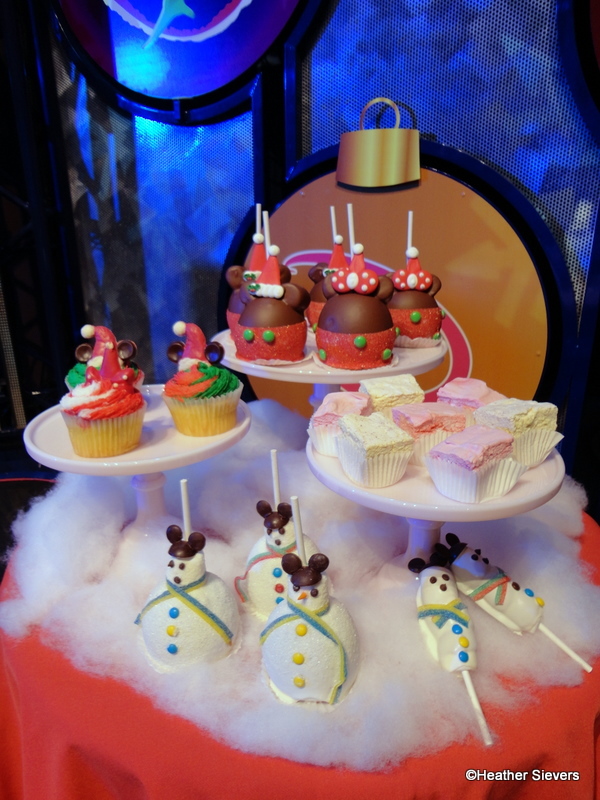 A sampling of this year's holiday goodies. 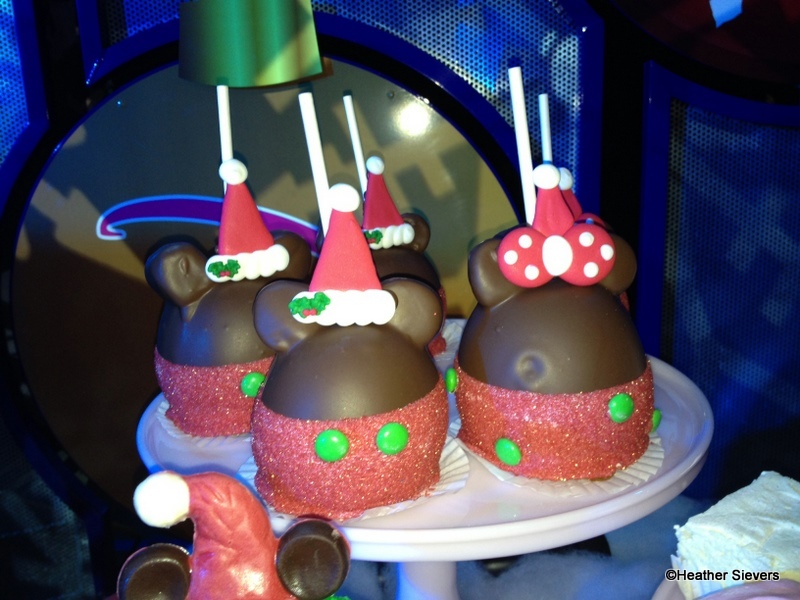 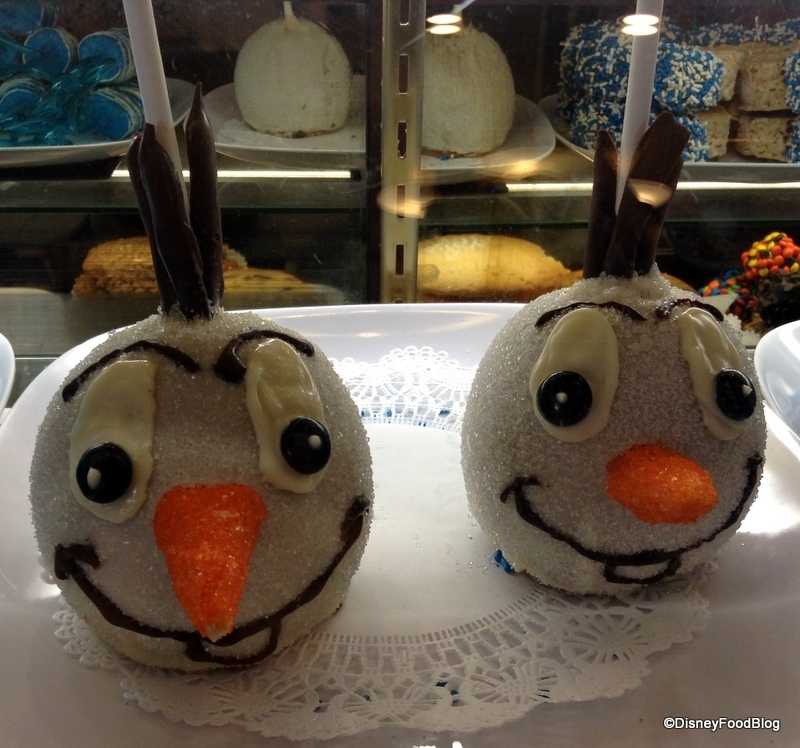 Both Disneyland and Disney California Adventure are carrying a line of holiday caramel apples. 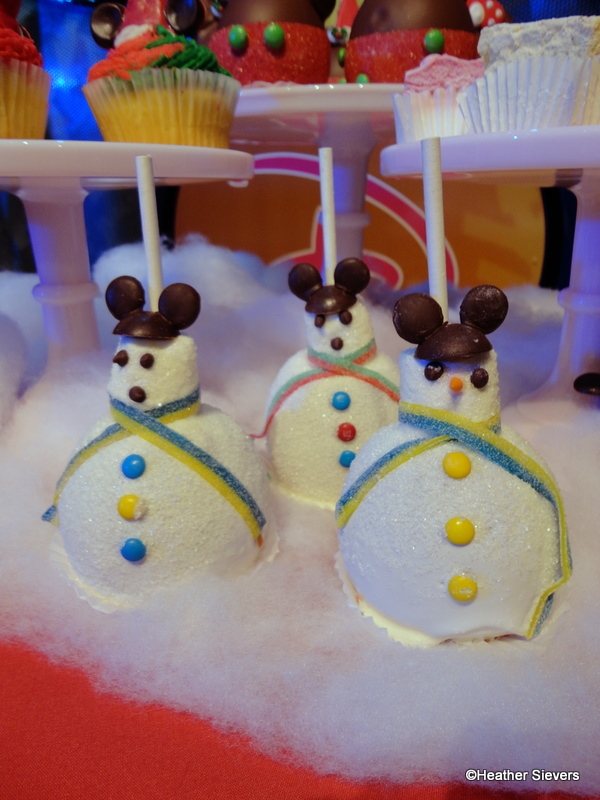 Choose from a festive Mickey or Minnie, or go for the cute snowman complete with chocolate Mickey ears and a sour belt scarf! 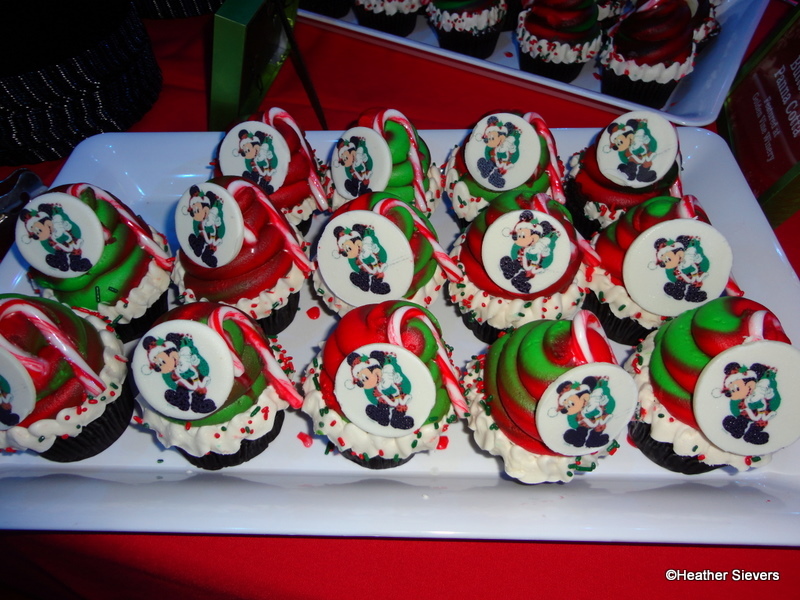 Both parks are also carrying a variety of Christmas Cupcakes, including this chocolate peppermint one! The frosting is whipped and infused with peppermint flavor.